Sports Illustrated Vault: Duncan Keith and Brent Seabrook’s first Stanley Cup with the Blackhawks in 2010 presaged a dynasty. This story originally ran in the June 17, 2010 issue. Subscribe to Sports Illustrated Magazine. Special Championship Offer — Get a 2015 Commemorative Chicago Blackhawks Book and Framed Cover. 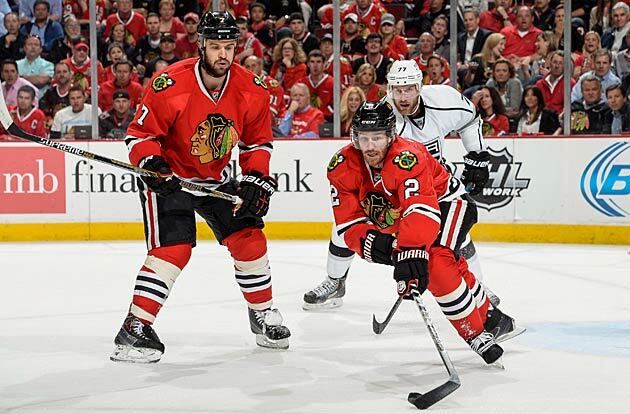 Chicago Blackhawks defenseman Brent Seabrook doesn’t remember exactly when he first met Duncan Keith. It was probably at some prospect camp that the Blackhawks held after Seabrook was drafted in the first round in 2003, he says. But it wasn’t as if the skies opened up or a chorus of angels started singing when they shook hands, which just goes to show that when you meet your hockey soul mate, it doesn’t always leave an impression. Seven years later Keith and Seabrook will go down as an unforgettable—and all but inseparable—defensive pair that helped deliver a championship to a Stanley Cup-starved city. 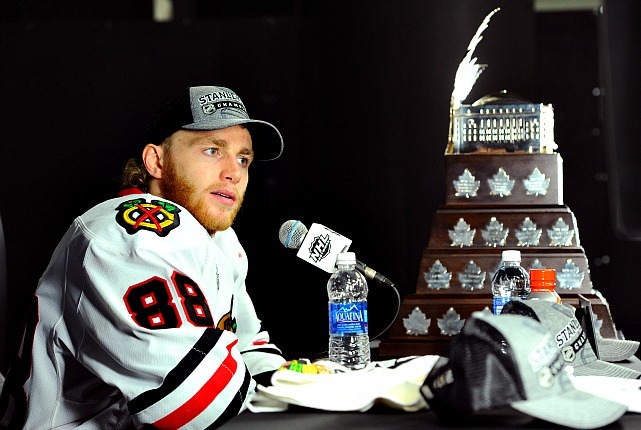 For these Blackhawks, great things seem to come in pairs. But unlike Chicago’s sublime forwards Jonathan Toews and Patrick Kane, the two high-end draft picks who were billed as the future of the team even before they ever suited up for the same game, the best defensive pair in the NHL this season emerged more slowly and more organically, building chemistry over many shifts and many years of sharing the same ice. Seabrook and Keith, who’ve logged big minutes playing against the league’s top lines, were crucial to Chicago’s leading the Western Conference in goal differential in 2009-10. 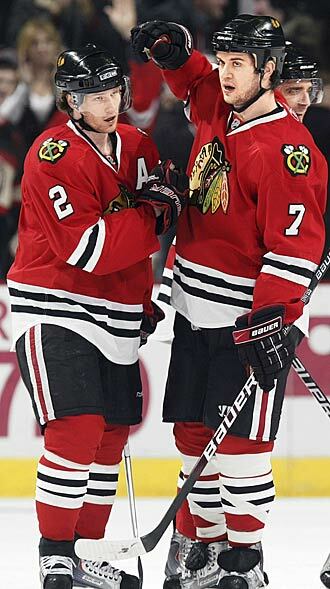 (Keith finished the season at an excellent +21, Seabrook a +20.) They’ve also been at the heart of the Blackhawks’ shift to the puck-possession game that has come to define the team. Yet just because they’re part of the next generation of defensemen doesn’t mean that hockey’s long-standing ethos doesn’t still apply. In the second period of Chicago’s series-clinching Game 4 win against the Sharks in the conference finals, Keith was manning the point on the power play when the Sharks’ Patrick Marleau let loose a hard clearing attempt from the slot. The puck collided with Keith’s face. When they broke into the league together in 2005-06, Keith was a lanky defenseman out of Michigan State who had spent two years in the AHL, in part developing his build. Seabrook, meanwhile, weaned in the Western Hockey League, was looking to trim some of his adolescent bulk. Because Chicago had few defensive options then, the two were pushed into the NHL ahead of schedule, and the fact that they started their careers on a struggling team proved a boon. They were given major minutes almost immediately and gained valuable experience. Keith and Seabrook were paired in their second season and have been an even-strength fixture ever since. Late in the 2009-10 season, after defenseman Brian Campbell went down with a broken collarbone and rib, Blackhawks coach Joel Quenneville tried splitting up Keith and Seabrook to balance his defensive pairs. The experiment lasted 10 games. Teammates joke that Keith and Seabrook do, in fact, mimic an old married couple off the ice, bickering in that particular way. With such different personalities—Seabrook is the goofy one given to acting out and ribbing his teammates; Keith is quieter and more serious—it seems they are living embodiments of the old saying that opposites attract. While Keith, 26, signed a 13-year, $72 million extension last December, Seabrook, 25, has two years remaining on a contract that pays him $3.5 million a season. Offense pays the bills in the NHL, and Keith’s 69 points this season (Seabrook had 30) were second among all defensemen in the league. His upside remains enormous. A couple of years ago, when the team went through physicals, former Blackhawks skating coach and retired Olympic speed skater Dan Jansen noted that the only person he’s seen with a higher VO2 max (a measure of aerobic capacity and fitness) than Keith was Lance Armstrong. It’s safe to say that the 28 minutes of ice time Keith averaged during these playoffs (about four minutes more than Seabrook; for one thing, Keith generally gets additional time on the power play) didn’t take a toll on his body. Keith’s athleticism and ability to recover have always set him apart. “When we saw him at Michigan State, he skated like his feet never touched the ice,” Tallon says. Yet for all his dynamic ability—he has drawn comparisons to Norris Trophy winner and skating wizard Scott Niedermayer—and all his deceptiveness with the puck, Keith understands and appreciates what Seabrook does to help trigger his game. 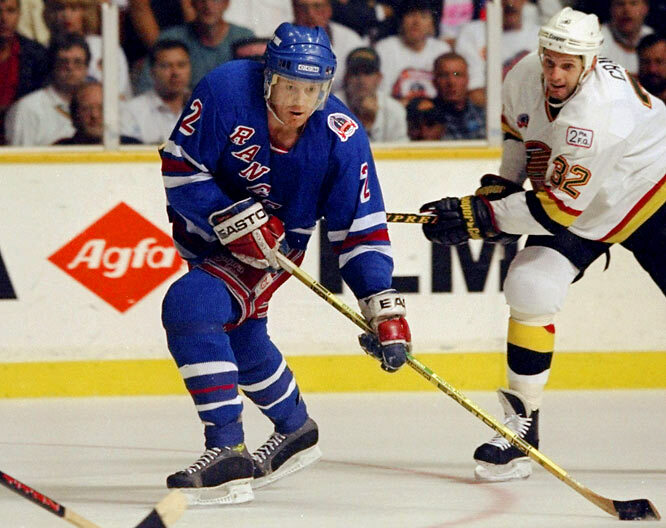 Just as Rangers great Brian Leetch thrived next to Jeff Beukeboom and the Oilers’ Paul Coffey was helped by being alongside Charlie Huddy, Keith benefits from the security Seabrook brings. The phrase thunder and lightning connotes an approaching storm. With Keith and Seabrook in the Blackhawks’ fold, the champagne showers that came down after the Cup clincher may only be the beginning of the reign in Chicago. The 32-year-old veteran forward, a first round pick by Philadelphia (28th overall) in 2000, has quietly and steadily built a reputation as a supremely clutch player, earning the nickname "Mr. Game 7." Now a three-time Stanley Cup winner, Williams is 7-0 with seven goals and an NHL-record 14 points in Game 7s during his 13-year career, including two goals and three assists in the L.A. Kings' three Game 7 victories during their run to the Cup in 2014. Williams won his first Conn Smythe Trophy as playoff MVP by producing nine goals and 16 assists in L.A.'s 26 postseason games, including a league-leading seven points in their five-game Cup final vs. the New York Rangers. His heroics included a dramatic overtime goal in Game 1 and three assists in a double-OT victory in Game 2. The Blackhawks winger is only the fourth American player, but the third in a row to win the NHL's postseason MVP honors. Kane came on strong late in the playoffs, scoring seven goals in Chicago's final eight games as the Hawks won their second Stanley Cup since 2010. His heroics included a hat trick in the decisive fifth game of the Western Conference Finals against the defending Cup champion Los Angeles Kings, a goal and OT assist in Game 4 of the Stanley Cup Final vs. Boston and two tallies In Game 5. In all, Kane finished with nine goals, 19 points and a plus-seven rating in 23 games. 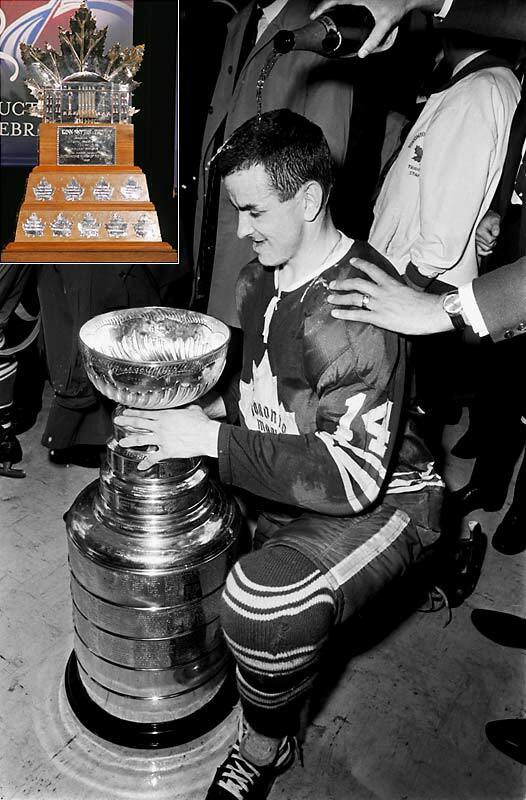 The NHL's award for the most valuable player of the postseason (inset) was named in honor of Conn Smythe, the Hall of Fame coach, GM and owner of the Toronto Maple Leafs (and the reason why the trophy bears a resemblance to the old Maple Leaf Gardens.) Speedy Hall of Fame center Keon was a brilliant all-around player whose modest numbers (3 goals, 8 points in 12 games) belied his defensive contribution to the last Cup-winning team from Toronto, which defeated the rival Montreal Canadiens in six games. The fiery butterfly master established his legend by winning the first of his record three Smythes when he was a 20-year old rookie (inset). Roy, who remains the youngest Smythe winner, backstopped Montreal to the 1986 Stanley Cup with astonishing numbers (15-5, 1.92). His greatest postseason MVP performance came in a Colorado sweater in 2001, as he went 16-7 with four shutouts and a 1.70 GAA, beating New Jersey in a thrilling seven-game Cup final. 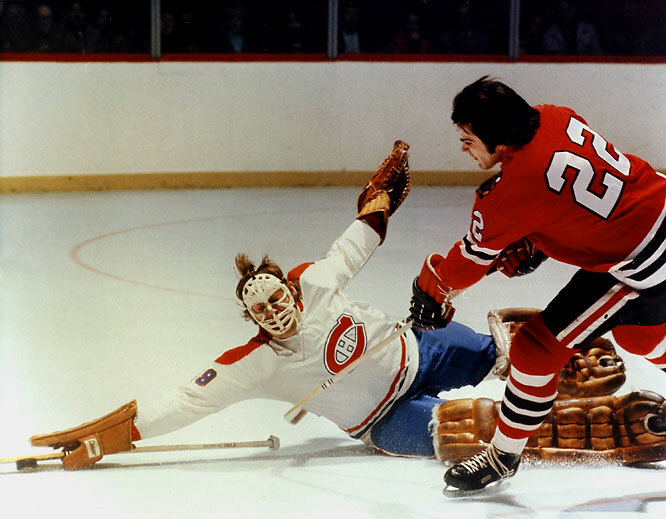 The lanky Dryden established Montreal's postseason legend of rookie excellence by coming out of the minors late in the 1970-71 season and leading the Habs to the Cup, the first of six with him in net. Dryden beat the Bobby Orr-Phil Esposito Bruins in an epic seven-game first round (Esposito, who had scored 76 regular-season goals, was held to three) and captured the Cup by snuffing Chicago in another series that went the distance. His final numbers: 12-8, 3.00 GAA. The swift, Hall of Fame center was a 10-time Cup-winner and the first player to win the Smythe. 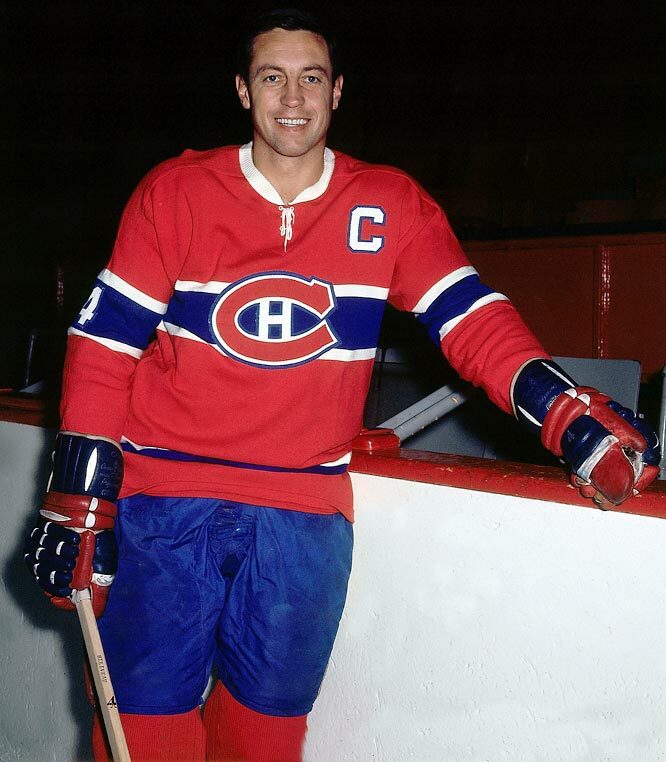 Beliveau scored eight goals and 16 points in the '65 playoffs, including a record four power play tallies in the seven-game final vs. Chicago. Other Canadiens notables who have won the Smythe include Serge Savard (1969), Yvan Cournoyer (1973), Guy Lafleur (1977), Larry Robinson (1978) and Bob Gainey (1979). The Great One's voluminous records include the career postseason marks for goals (122), assists (260) and points (382), so it's only fitting that he won his first Smythe with a ridiculous record run of 47 points in only 18 games, including a five-game finals record 11 points against Philadelphia. In 1988 Gretzky scored 43 points in 19 games, terrorizing Boston for a record 13 goals and 10 assists in the Oilers' sweep. The Rangers' 54-year Cup drought finally ended thanks to the gritty leadership of Mark Messier and stingy goaltending by Mike Richter, but it was classy blueliner Leetch who won the Smythe after scoring 11 goals and 34 points in only 23 games. His 11 points (5 goals, 6 assists) vs. Vancouver still stand as the mark (shared with Paul Coffey, 1985) for a seven-game Cup final. Leetch is one of only four non-Canadians to win the Smythe, the others being Detroit's Nicklas Lidstrom (Sweden) in 2002 and Henrik Zetterberg (Sweden) in 2008, and Evgeni Malkin (Russia) in 2009. 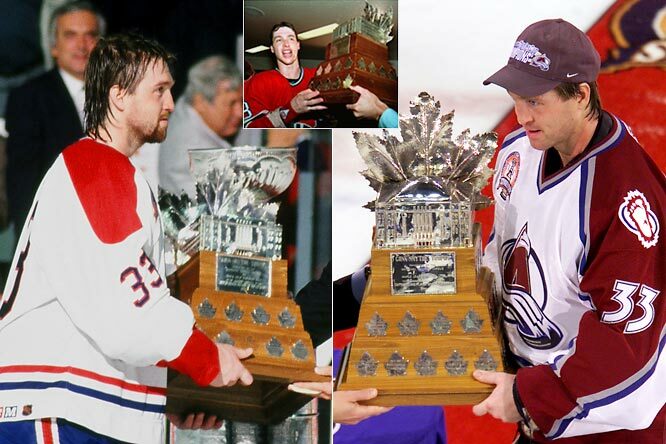 In their first season in Colorado after moving from Quebec, the Avalanche won their first Cup after the team's 1987 first-round draft pick went on a scoring tear -- leading all postseason players with 18 goals and 16 assists in 22 games. 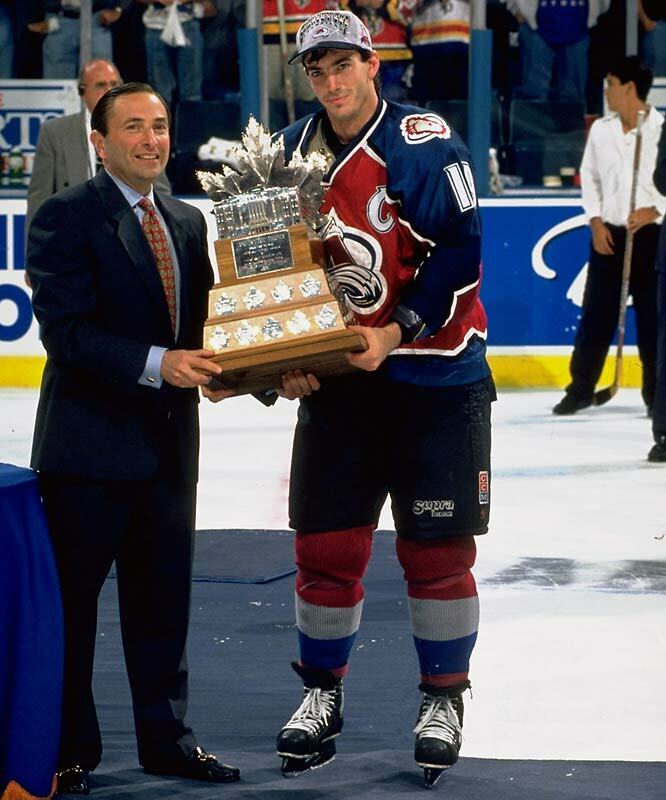 Sakic set a postseason record, since broken by Tampa Bay's 2004 Smythe-winner Brad Richards, of six game-winning goals and dished a single-game record four assists in Game 2 of the Cup final vs. Florida. The infamous instigator was renowned for elevating his play in the postseason. 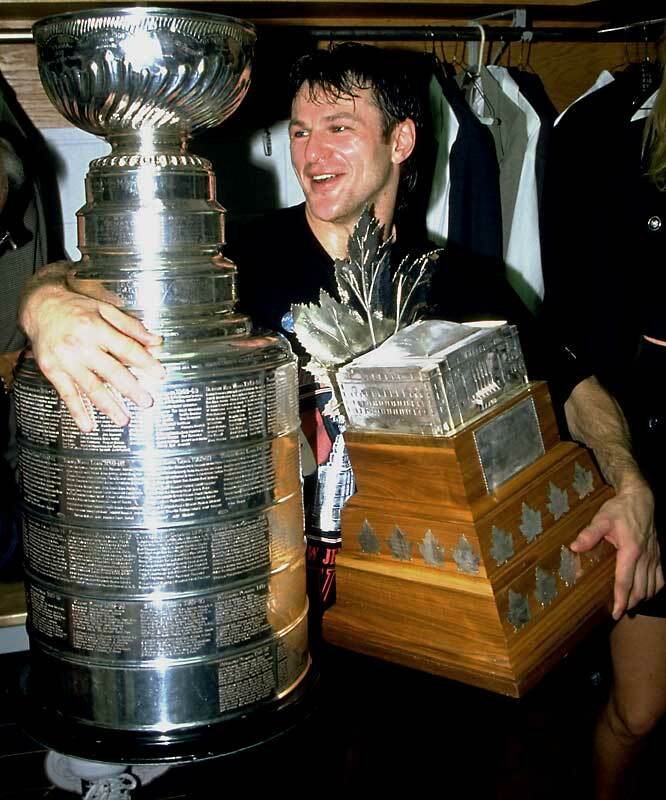 After scoring only six goals and 13 points in 45 games for the Devils during the 1994-95 regular season, Lemieux exploded, lighting the lamp 13 times and scoring 16 points in 20 games while helping New Jersey win the first of three Cups. Famed for their stifling defense, the Devils have had backliner Scott Stevens win the Smythe (2000), but not goaltender Martin Brodeur. 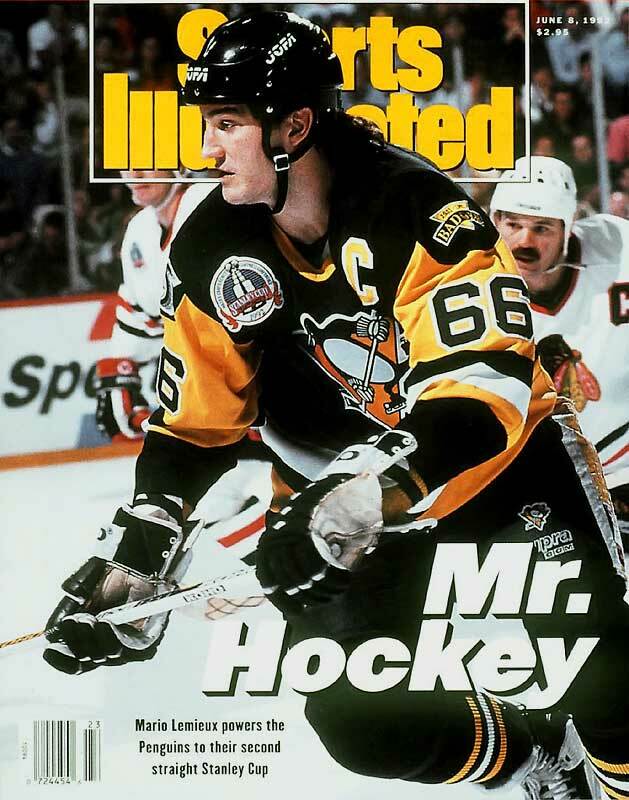 Super Mario's seventh NHL season proved to be seventh heaven as he led the Penguins to their first Cup by scoring 16 goals and 44 points in 23 games. 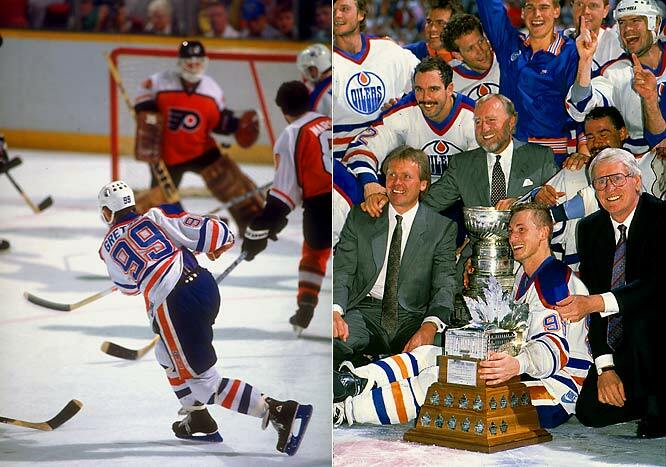 For an encore, he again brought home the silverware (Smythe and Cup) with another 16-goal postseason in '92. 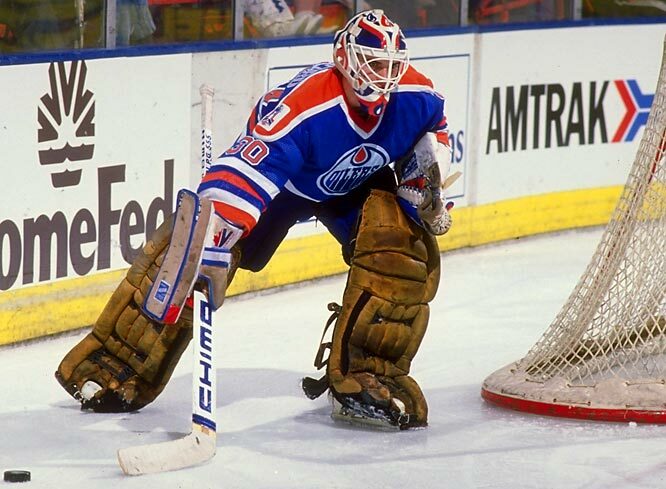 The MVP of the Oilers' fifth and last (to date) Cup, the backup netminder was acquired from Boston in 1988, replaced the great Grant Fuhr as starter the following season, and rescued Edmonton from a 3-1 first-round hole against Winnipeg. Ranford came back to haunt his old team in the Cup final by making 50 saves in a 3-2 triple win in Game 1 that stands as the longest overtime match in Cup finals history. His postseason slate that year: 16-6 with a 2.53 GAA in 22 games. The Red Wings' long, hard climb from dreadful mediocrity finally ended with a Cup in 1997, but it was goaltender Mike Vernon who won the MVP hardware. The following season, Detroit's legendary captain masterfully led the way with 24 points, including 18 assists, in 22 games. 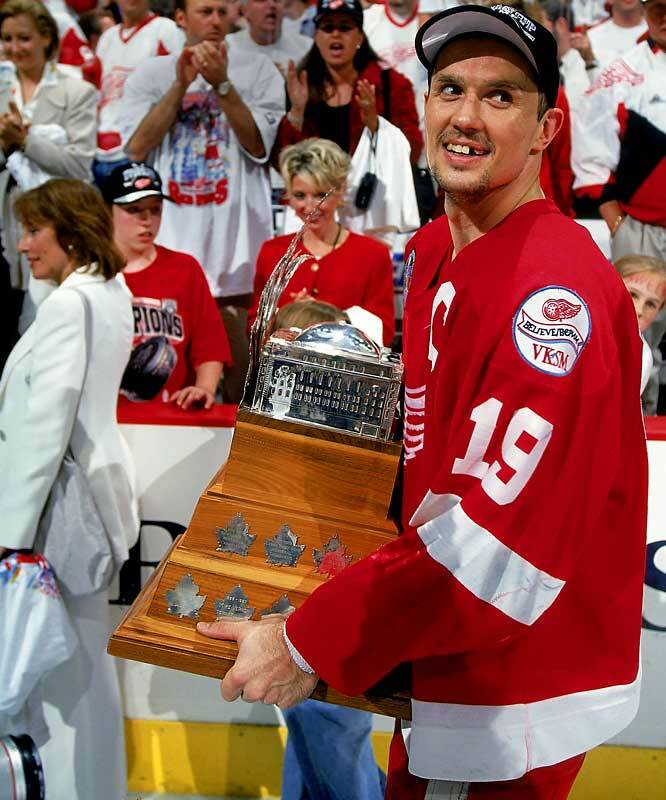 Yzerman is one of six team captains who have won the Smythe. The others: Scott Niedermayer, Mario Lemieux, Wayne Gretzky, Joe Sakic and Jean Beliveau. 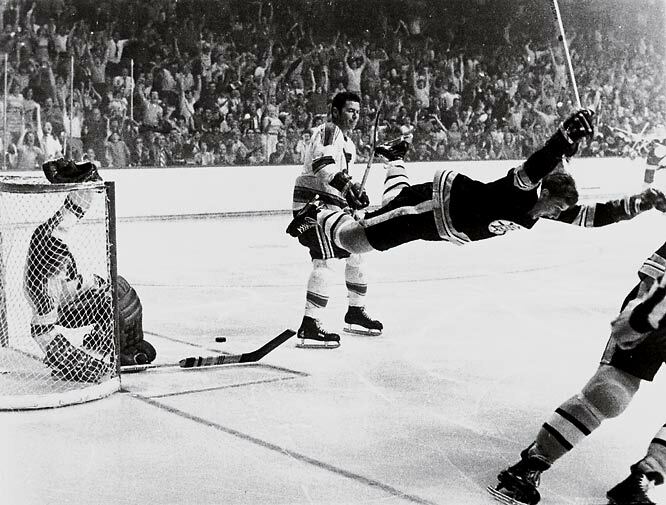 The legendary rushing defenseman who transformed the NHL won the first of his two Smythes while bringing Boston its first Cup in 29 years in dramatic fashion: his flying goal in overtime of Game 4 vs. St. Louis. It was the ninth tally and 20th point of Orr's postseason campaign. Two years later, he again scored the Cup-winner, in a six-game final vs. the Rangers while recording 24 points in 15 games. 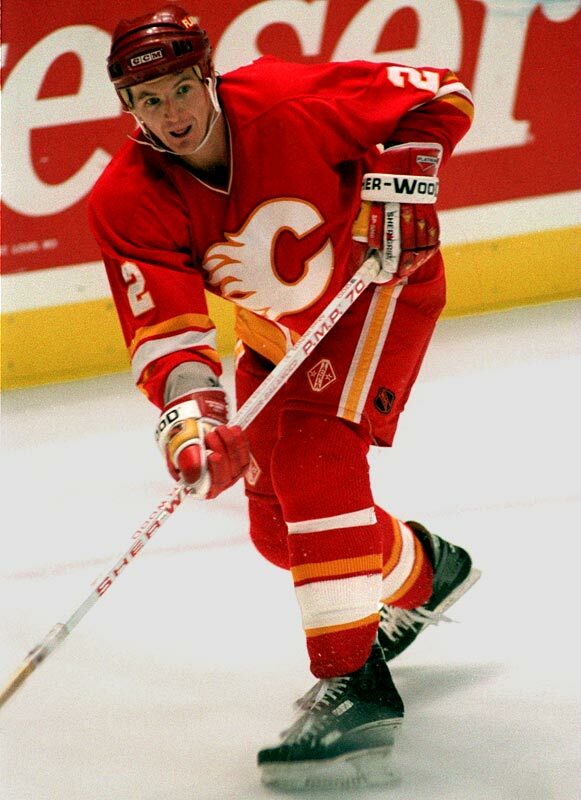 The Hall of Fame defenseman with the fearsome slap shot led all postseason scorers with 31 points in 22 games. He scored five of his seven goals on the power play while leading the Flames to their only Stanley Cup, won in a six-game final vs. Montreal. MacInnis also recorded a record 17-game postseason point streak along the way. The quintessential leader's most legendary moment may be his guarantee of victory over the Devils in the '94 Eastern Conference final while leading the Rangers to their first Stanley Cup in 54 years, but he was not the Smythe-winner that year. 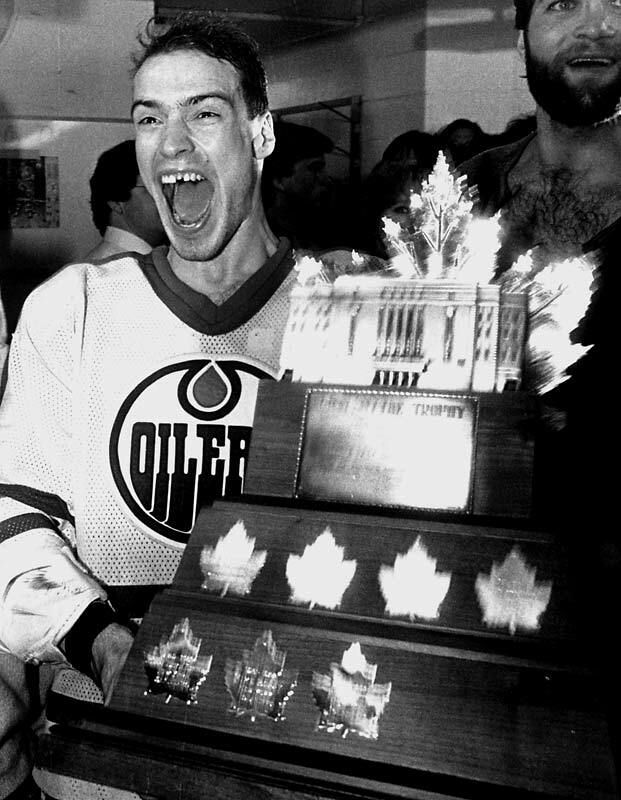 Mess won the trophy only once, as an Oiler, when he scored eight goals and 26 points in 19 games, ultimately ending the Islanders' four-year reign in the '84 Cup final. 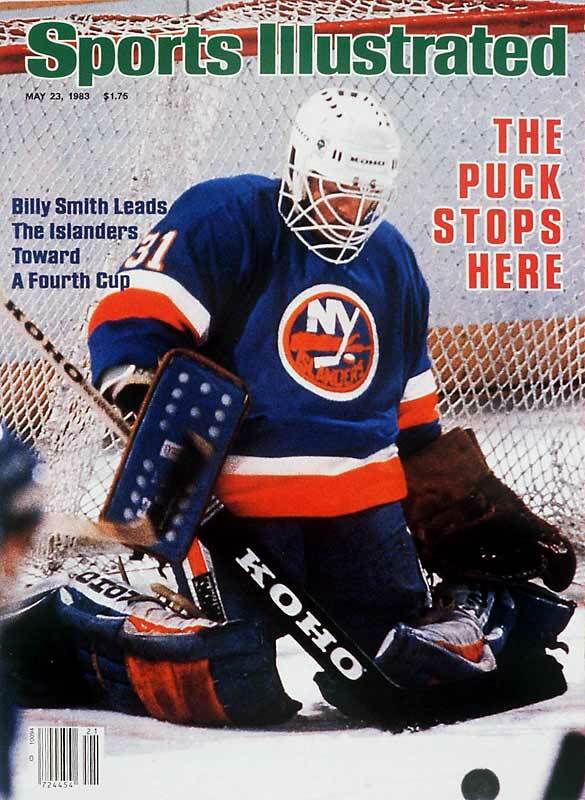 Renowned as the NHL's greatest money goaltender, the combative Smith led the league in postseason wins each season from 1980 through 1984. 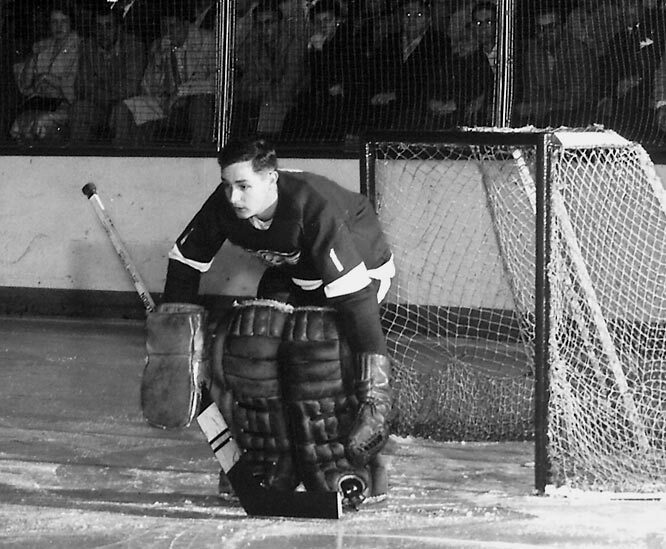 He capped the Isles' run of four straight Cups by going 13-3 with 2.69 GAA, including a four-game final sweep of the high-powered Oilers in which he allowed only six goals and enraged the citizens of Edmonton by cutting down Wayne Gretzky with a swing of the goalie stick. 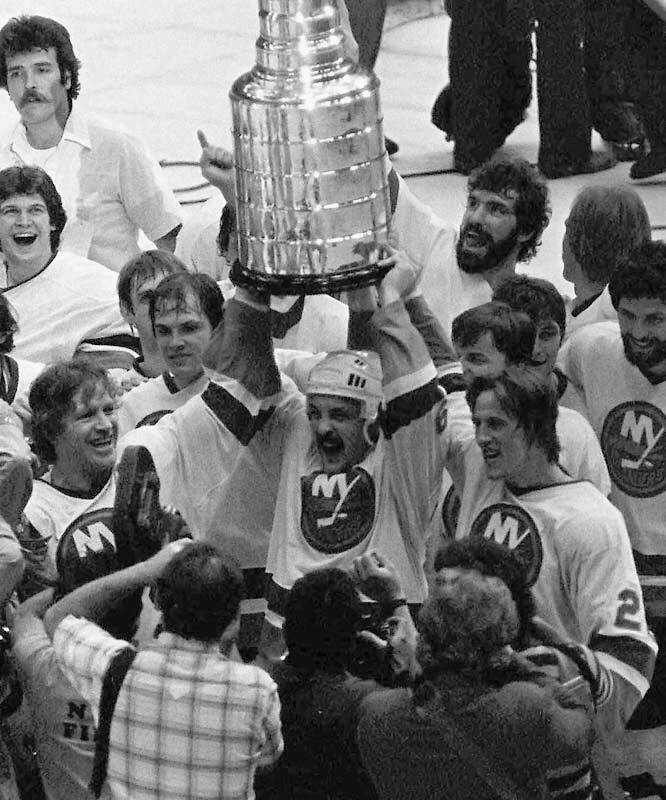 Bob Nystrom scored the overtime goal that launched the Islanders dynasty, but it was the gritty play of the NHL's best two-way player that carried them through that postseason. Trottier had 12 goals and 29 points in 21 games, forming a devastating one-two punch with linemate Mike Bossy, who won the Smythe in 1982. Brett Hull's controversial foot-in-the-crease OT goal won the Cup for Dallas in Game 6 of the final against Buffalo, but Nieuwendyk got the Stars there by scoring a league-leading 11 goals, and 21 points, in 23 postseason games against Oilers, Blues, Avalanche and Sabres. The St. Louis Blues were an anomaly -- an expansion team that reached the Stanley Cup Final in each of its first three seasons. 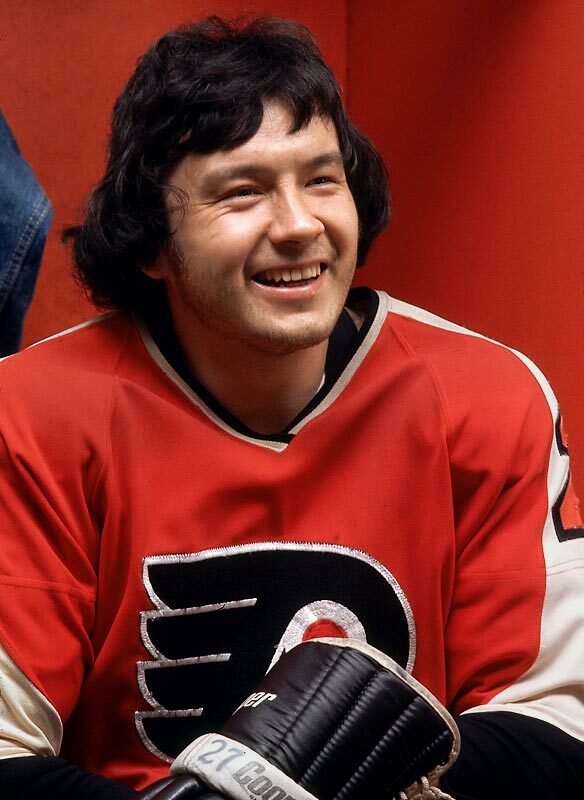 They lost each time, but Hall of Famer Hall, whom they had chosen in the expansion draft even though he was 36 years old, put up a valiant, Smythe-winning effort that was reflected more by his GAA (2.43) than his won-loss mark (8-10). 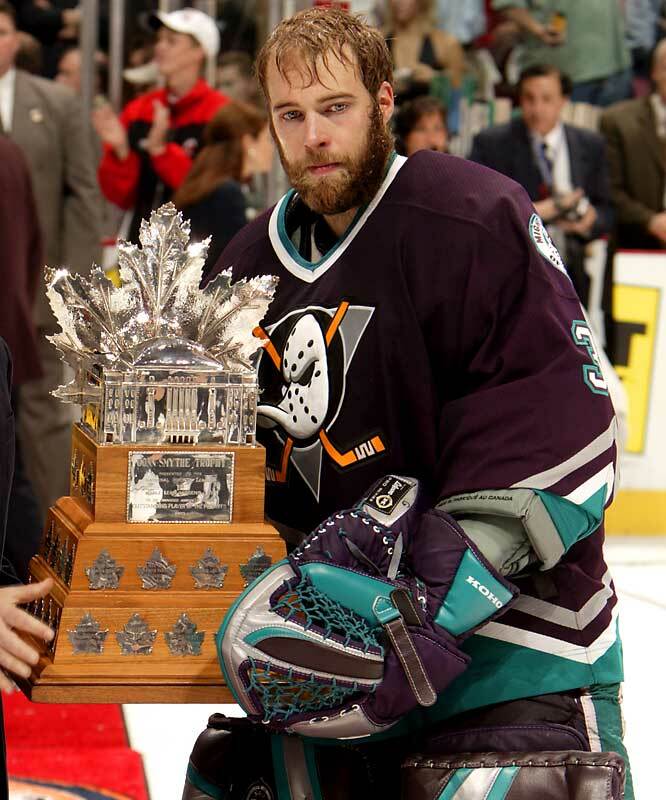 The fifth and most recent playoff MVP from a team that lost the Cup final, Giguere had a breathtaking run with the upstart Mighty Ducks of Anaheim. Five of his 15 wins were shutouts and he posted a miserly 1.62 goals-against average in 21 postseason games while knocking off Detroit, Dallas and Minnesota before falling to New Jersey in seven games. The Riverton Rifle is the only non-goaltender among the five Smythe-winners who toiled for a team that did not win the Cup. Leach capped his 61-goal regular season by scoring another 19 in 16 playoff games, topping Phil Esposito's overall mark (79) set in 1970-71. However, the Flyers fell short in their quest for a third straight Cup. Goalie Bernie Parent had won the Smythe the previous two seasons. Ron Hextall (1987) is the other Flyer to win the trophy, but not the Cup. Rookie Ward, 22, started the playoffs as Carolina's backup netminder, but replaced starter Martin Gerber after the veteran faltered in the first round against Montreal. Ward, a first-round pick in the 2002 draft, went on to win 15 games and finish the postseason with a 2.14 goals-against average. Most impressively, he remained cool under pressure in the Stanley Cup Final as the upstart Edmonton Oilers came back from a 3-1 deficit to force a Game 7 in which Ward made 22 saves while protecting a 2-1 lead until Justin Williams' empty-netter with 1:01 left nailed the win and the Cup. 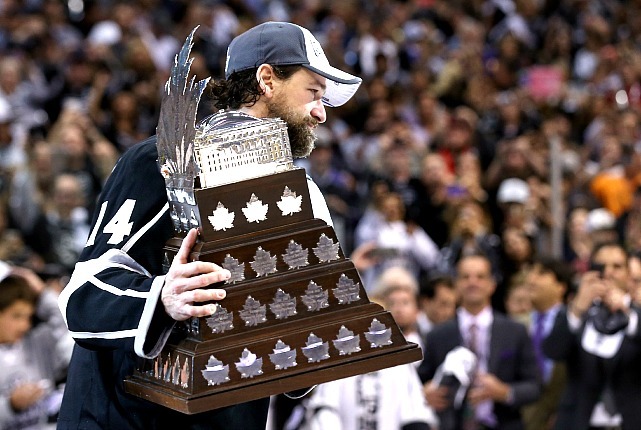 The swift-skating defenseman's fourth Stanley Cup brought the first Conn Smythe of his illustrious career after a five-game victory over the Ottawa Senators. "I was a little surprised. 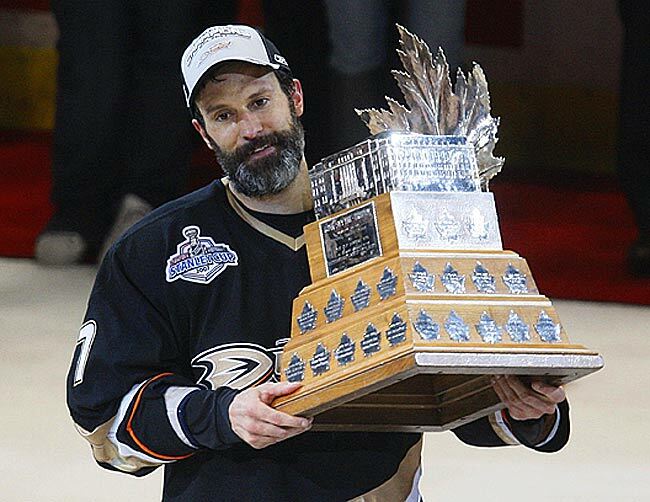 We had a handful of candidates," Niedermayer, 33, the Ducks' captain, said. "I was out there trying to do my thing, whether it was playing good solid defense, blocking a shot, helping out on offense. I'm thankful I was out there to help the team and not really thinking about an award like this."